The Soft Modular Sofa is Jasper Morrison's updated interpretation of what has become a modern classic. Uniting carefully balanced proportions, great comfort and a conscious renunciation of decorative details, the Soft Modular Sofa exemplifies the characteristics of this sofa type in their purest form. Firmly in line with his philosophy of 'super normal' design, Jasper Morrison has successfully coupled home-like informality with precise finishing and expressive clarity. 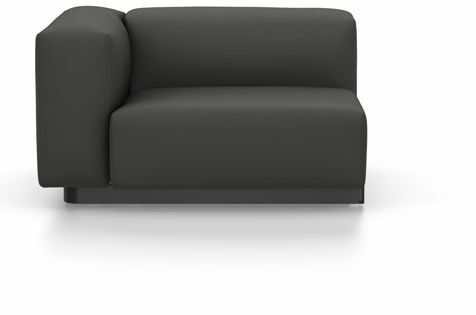 The Soft Modular Sofa functions like an architectural element that can be subtly integrated in any interior. Steel frame, wood construction with steel springs, polyurethane foam structure and visco cover. Plastic glides with levelling adjustment.